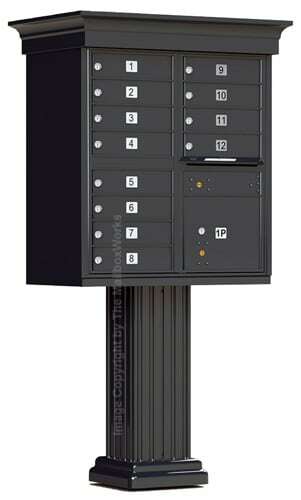 Outdoor CBU cluster mailboxes, like the Auth Florence Type II 12 door cluster mailbox units, need to keep mail secure. 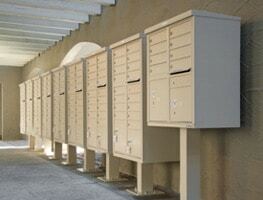 Identity theft is a preventable crime that affects thousands of us every day. 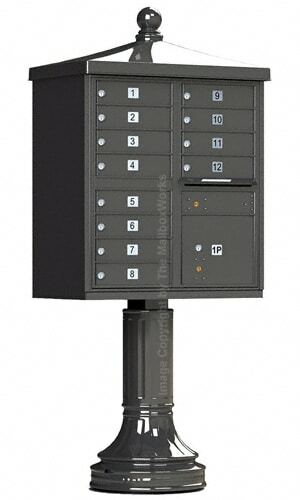 Crafted of heavy duty aircraft grade aluminum and stainless steel hinges, these 12 door cluster mailboxes come with 3 keys per compartment door, a shielded outgoing mail receptacle and 1 parcel locker. High quality Commercial Mailboxes open from the front and stay open for easy loading. 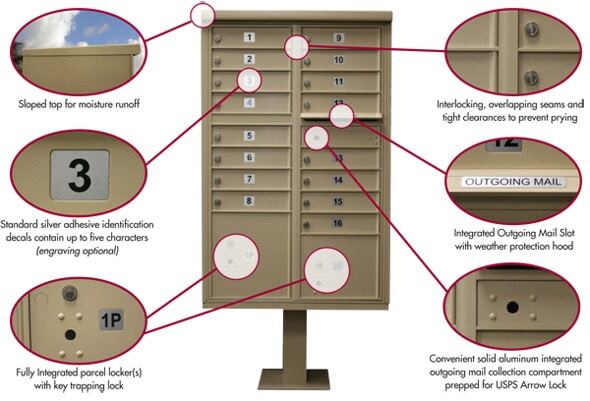 Heavy duty cam locks on each tenant’s compartment and thicker aluminum for outer cabinet and doors provide ample vandalism and theft protection. 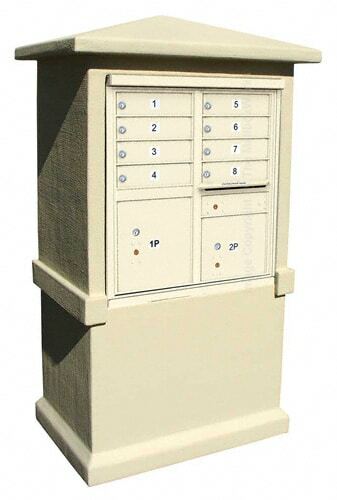 Finished with a weather-proof powder coating that resists scratching, erosion, dents and peeling to retain the aesthetic appeal of your CBU mailbox. 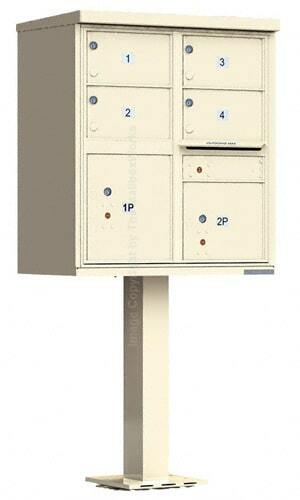 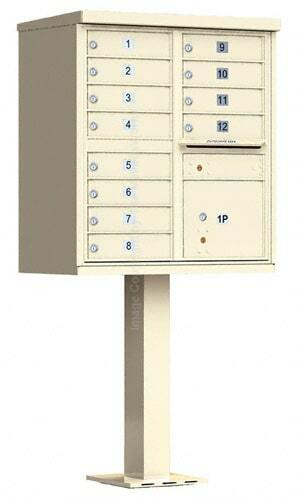 To convert these CBU 12 door cluster mailbox units for private use only call us about an optional conversion kit. 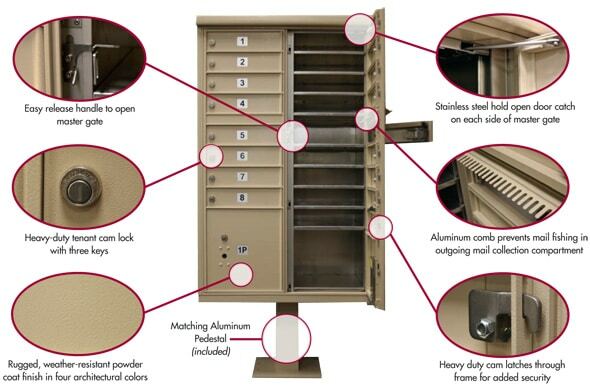 Custom Silver Decals can have up to 6 7/8″ characters; USPS recommends up to 3 characters. 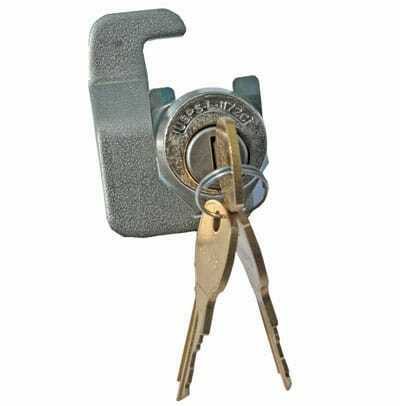 Custom engraving can have up to 12 3/4″ characters and has black or white color fill options. Auth Florence commercial CBU mailboxes are number one for anti-theft and vandalism protection. 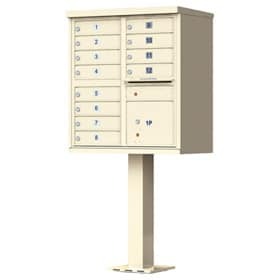 For more information or for help with ordering these cluster mailboxes, please call us or chat with a customer care rep if you have any questions. 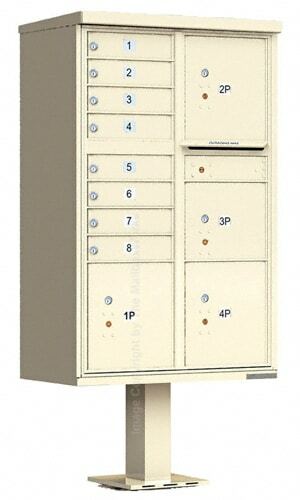 Parcel Compartments 10.25" 12.875" 16.75"